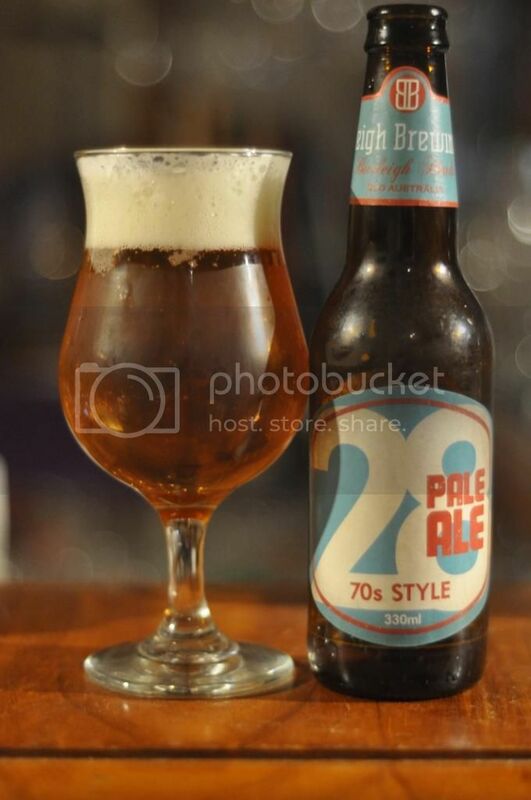 Tonight we have one of Australia's best pale ale's for you. 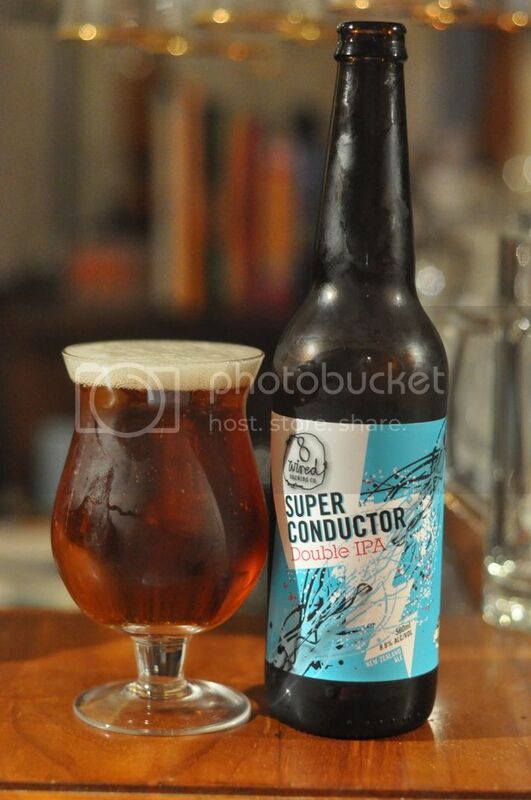 It's made by Burleigh Brewing located on the Queensland coast right near the border with NSW. Queensland's craft beer scene is apparently growing very quickly and slowly we are starting to see more of their offerings appearing down here. Burleigh 28 is inspired by the surfing culture of the 70's and named after the famous 28 day swell at Burleigh Heads in 1975. I'm not sure what is 70's about the beer, other than the label, but I'm prepared to go along with it as long as it tastes as good as I remember. Anyway, all that aside lets get into this beer. The beer pours a quite deep golden colour, which is also quite clear. On top of the golden liquid is an off-white head filled with large bubbles. The retention is not great and there is little to no lacing left behind to show that the beer was ever there. Despite this I really do the like the colour of the beer though and so it gets points in my books for it's appearance. Onto the nose and what a nose! From the moment Burleigh 28 is poured there are fruit flavours that abound; I get lychee, pear, passionfruit and citrus. It doesn't seem particularly bitter and there is a honey and caramel malt sweetness in the background of the aroma. It's a particularly enticing smelling beer, it always makes me want more! I'm always surprised by the maltiness of the taste of this beer - the nose and taste just don't seem to marry up! The malts are earthy and also have plenty of caramel sweetness. As for the hops it's the citrus that cuts through the most but it, along with most of the other fruit flavours, are often lost amongst the malt. I know this sounds like it shouldn't work in a pale ale, but it really does! Burleigh 28 is a really interesting pale ale. The above review doesn't really make it sound like it's that great but it drinks really really well. If you're are in Australia, particularly the craft beer wasteland that is everywhere in Queensland outside Brisbane, have a look for this one. It's not the best straight out American Pale Ale but it is an exceptionally sessionable beer that goes down beautifully in the warm weather.